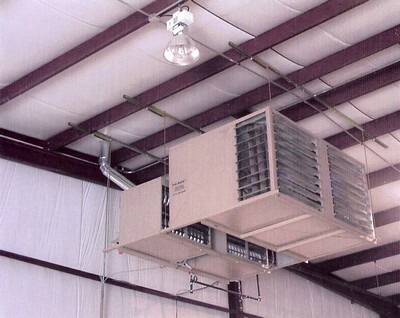 The Rack™ delivers heated air throughout the building providing even, economical heating. BBy effectively recirculating heated air to the floor, The Rack allows building owners to reduce fuel costs while improving overall comfort level. 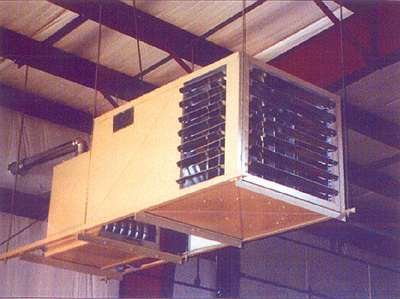 Evenly distributes heat plus maintains temperatures within a few degrees anywhere in the building. Destratifies layers of heated air to increase comfort. By lowering roof line temperatures, the heat loss through the roof is significantly reduced. 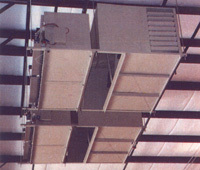 ER-236-600 Rack System installed in a building 200' x 150' x 20'(h), inside temperature of 70° F. ER-136-300 Rack System installed in a building 100' x 100 x 20'(h), inside temperature of 70° F.